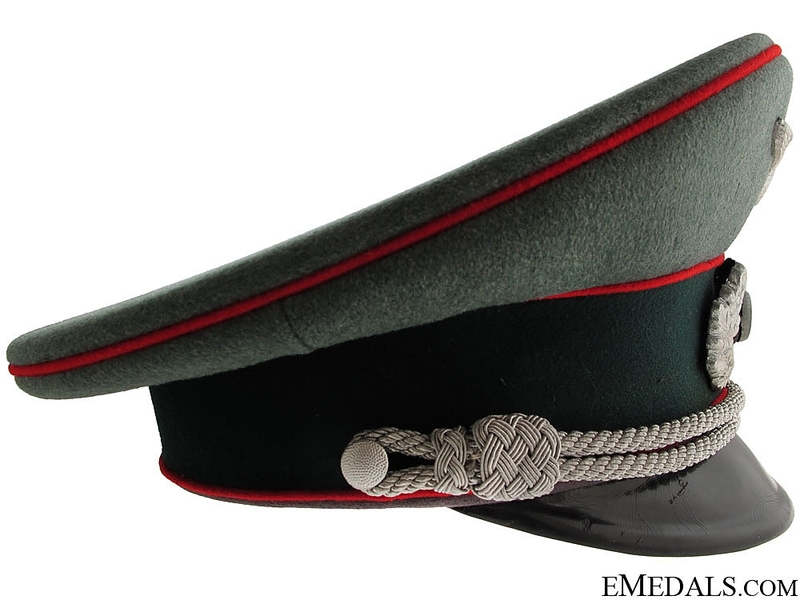 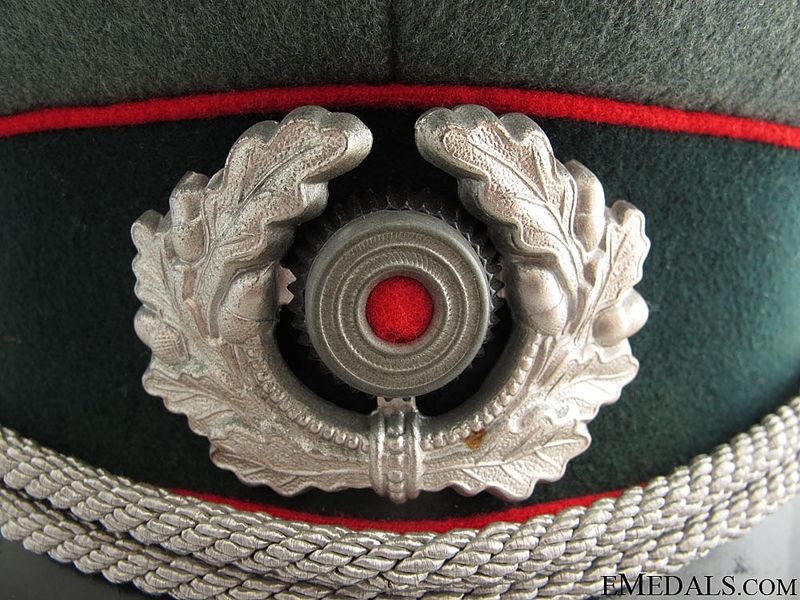 Army Flak Officer's Visor - This cap is in typical Heer (Army) green doeskin wool with a 45 mm forest green wool band and a traditional high peak with matching red piping along the top edge and flanking either side of the band, indicating the branch to be Flak. 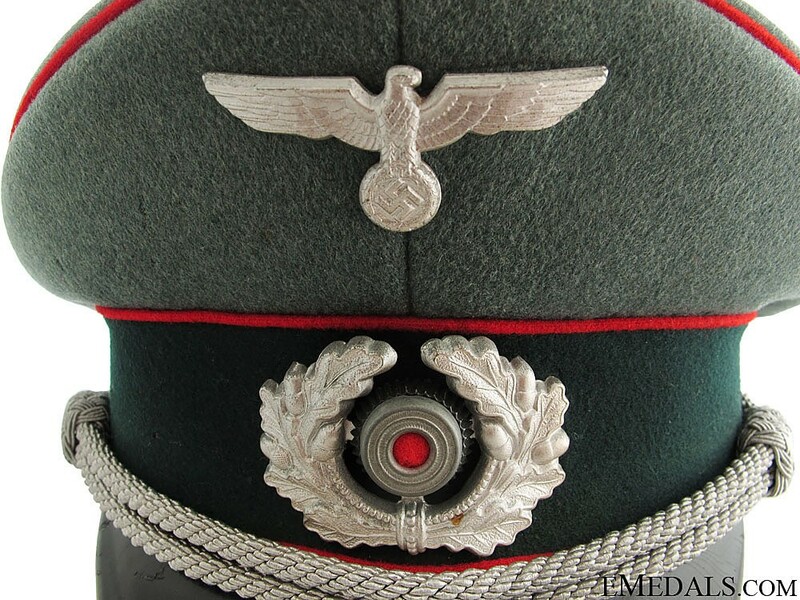 It is decorated with a well-detailed silvered aluminum eagle insignia on the peak and and an open-ended silvered aluminum wreath surrounding a tri-colour cockade on the band. 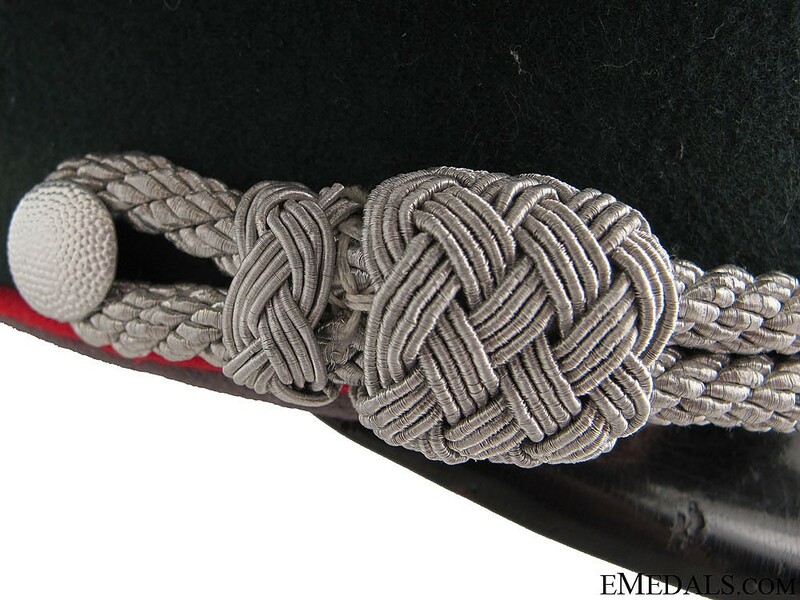 The silver bullion chin cords are appropriately knotted at either end, designating the wearer to be an officer, and are attached to pebbled silvered buttons on either side. 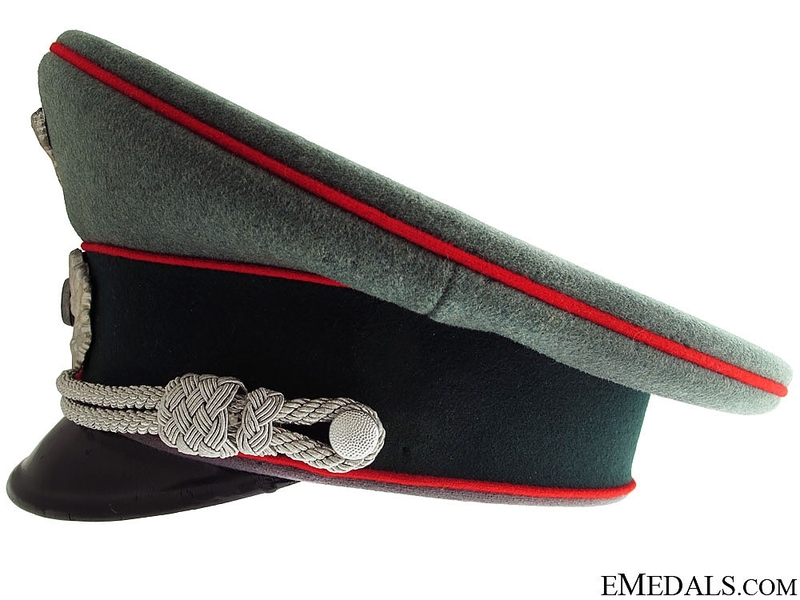 The vulcan visor has a smooth black leather-look upper and has a light tan synthetic underside. 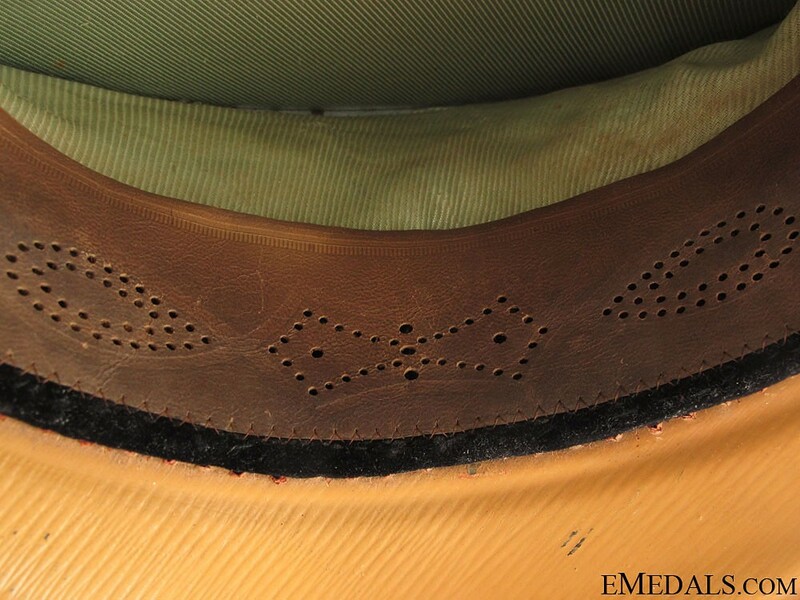 The tan leather sweatband shows discolouration from active use but remains relatively supple and intact. 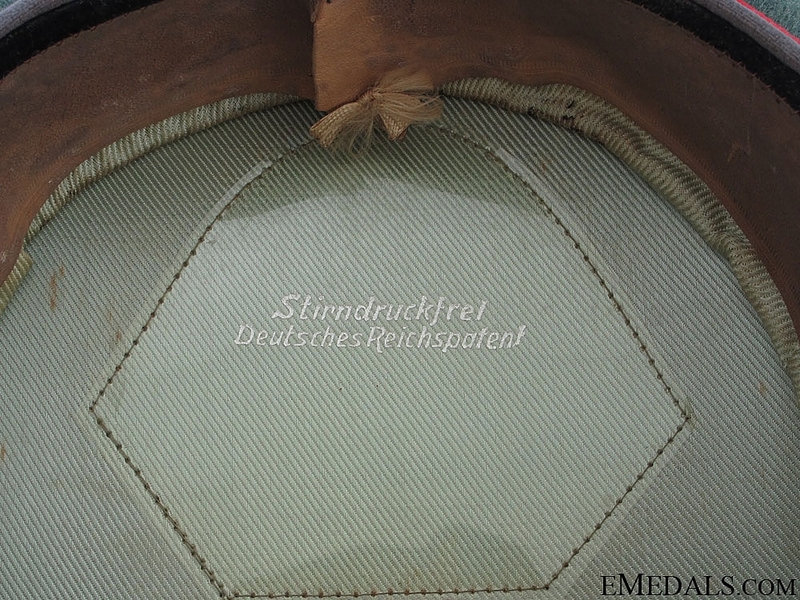 The rear string of the sweatband is intact but the right side of the leather sweatband has torn away from the string. The underside of the sweatband is size stamped "59" in black ink near the string. 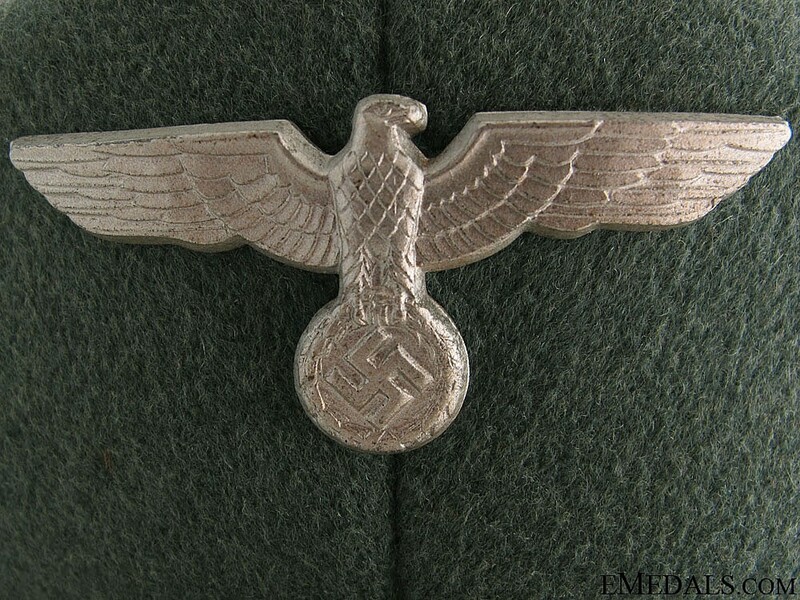 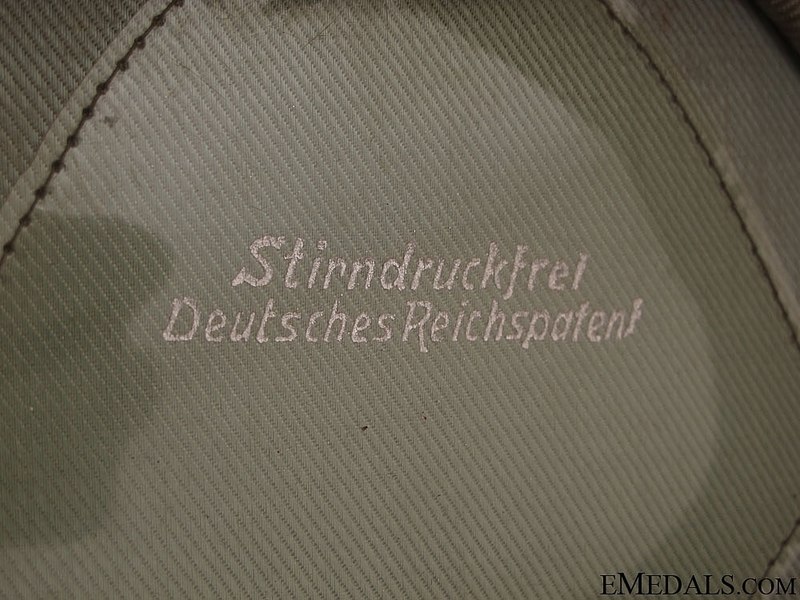 The inside of the cap is lined in a light green nylon weave, with the dome brandishing a celluloid shield, inscribed "Stirndruckfrei, Deutsches Reichspatent" (pressure-free, German Reich Patent), measuring 255 mm x 285 mm x 150 mm in height overall. 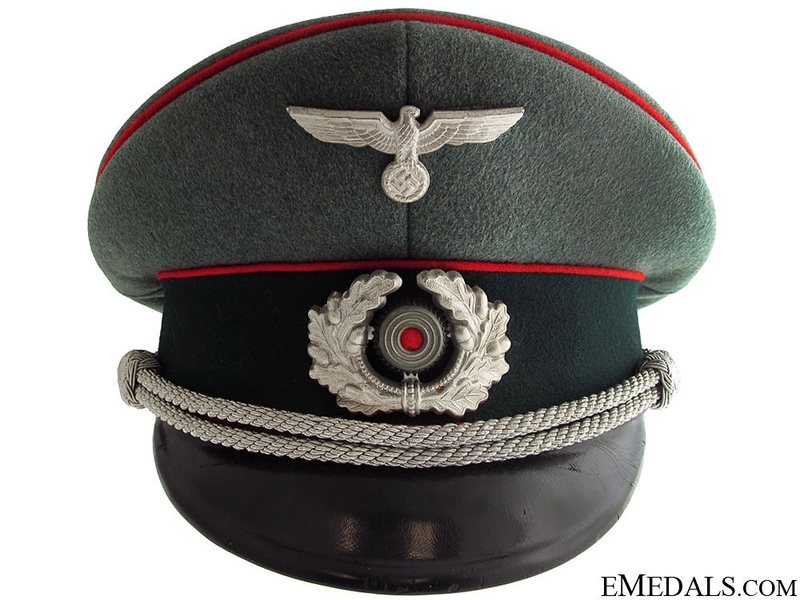 The capexhibits fine crazing and contact marks on the black vulcan visor, two small patches of fabric interruption on top and minor scattered patches of brown staining on the light green dome. 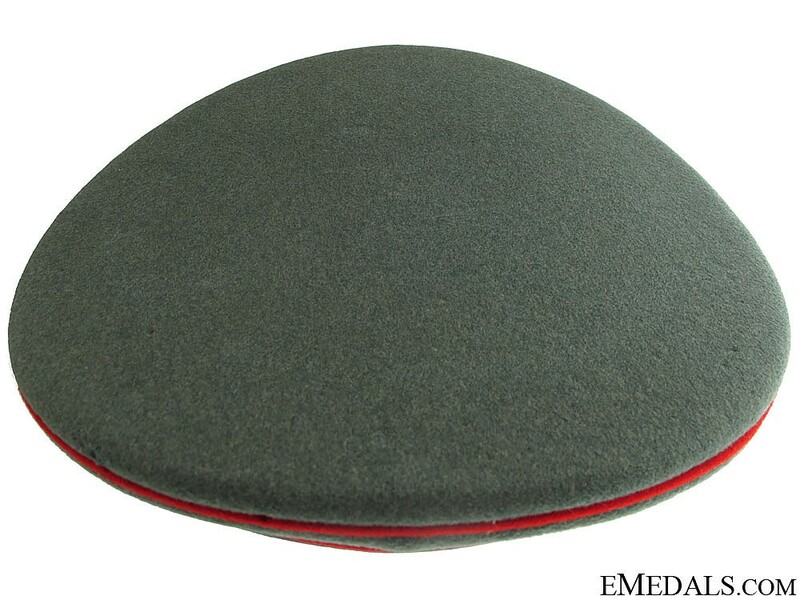 However, the cap is free of stains elsewhere and any discolouration, other than that on the sweatband, remaining in very fine condition.